Timeless shoes, a must have that every girl should have in her wardrobe. 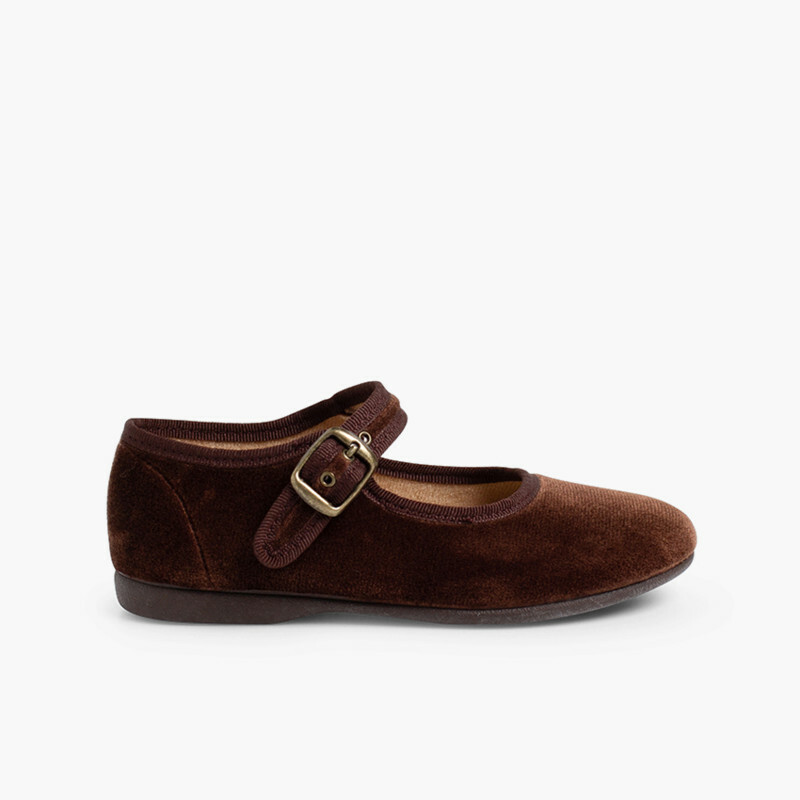 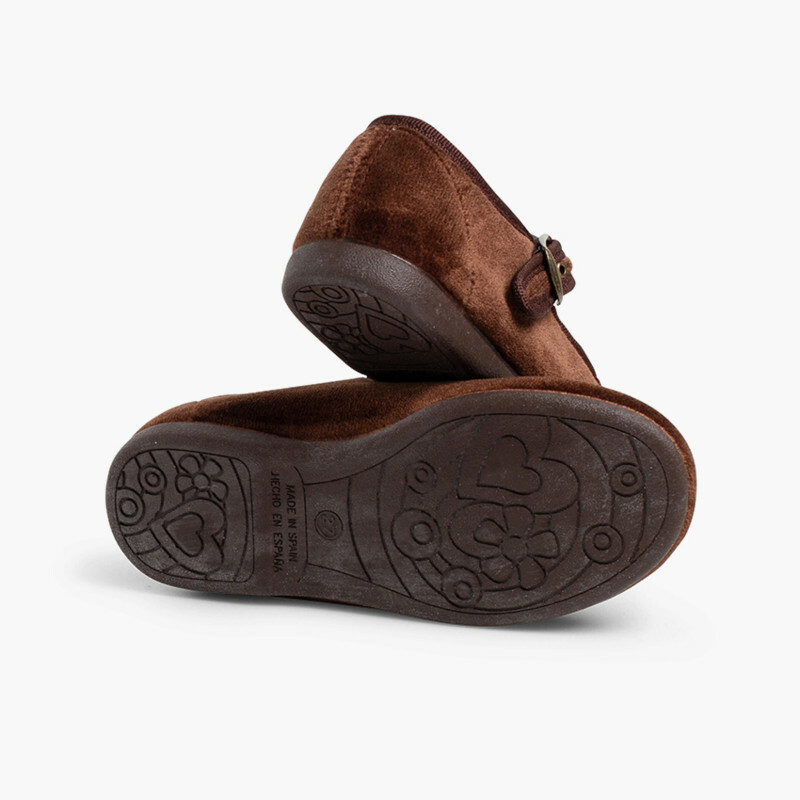 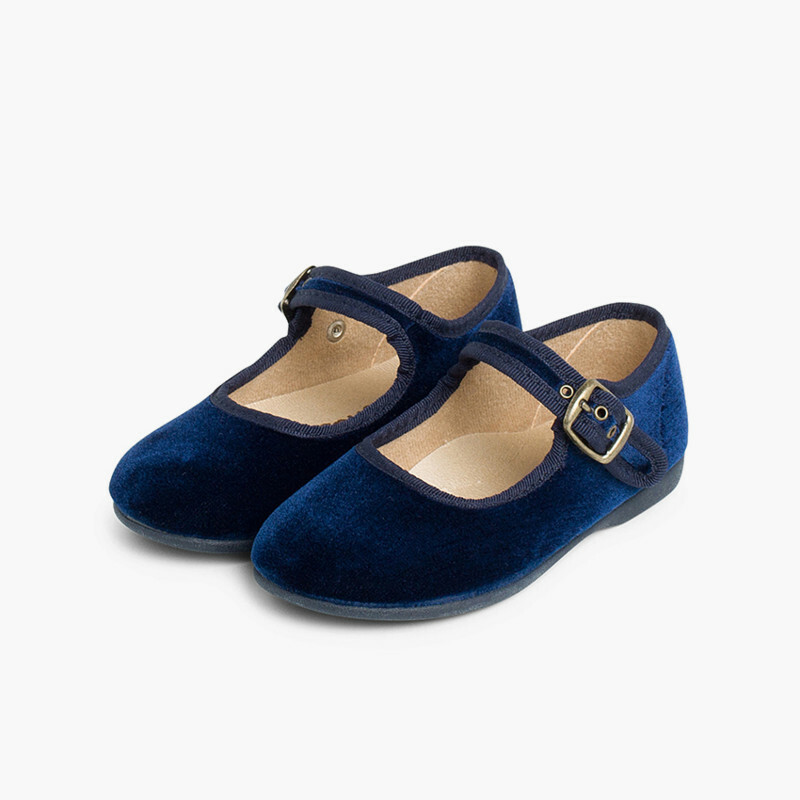 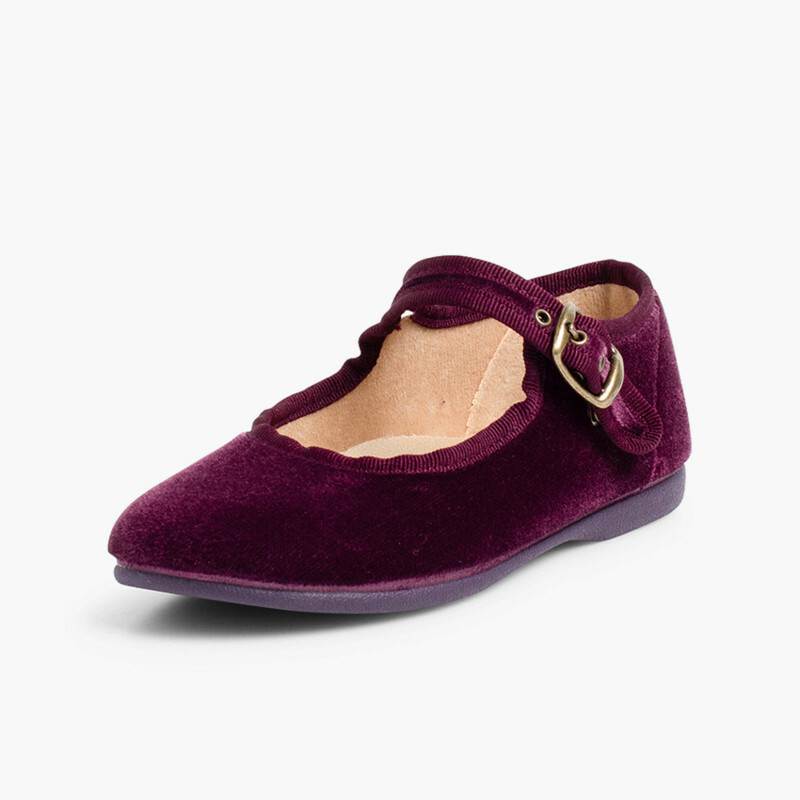 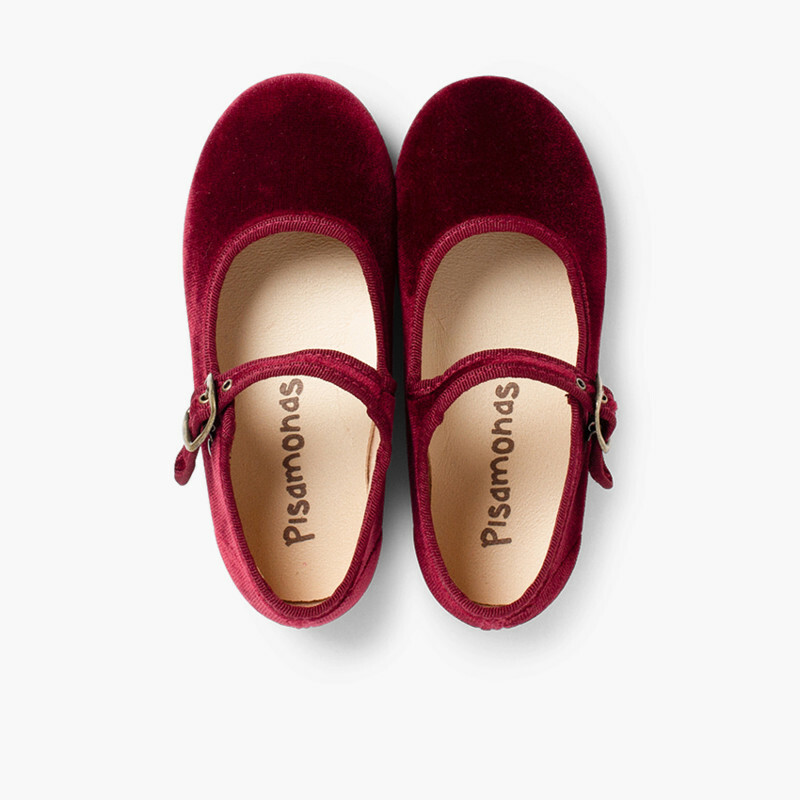 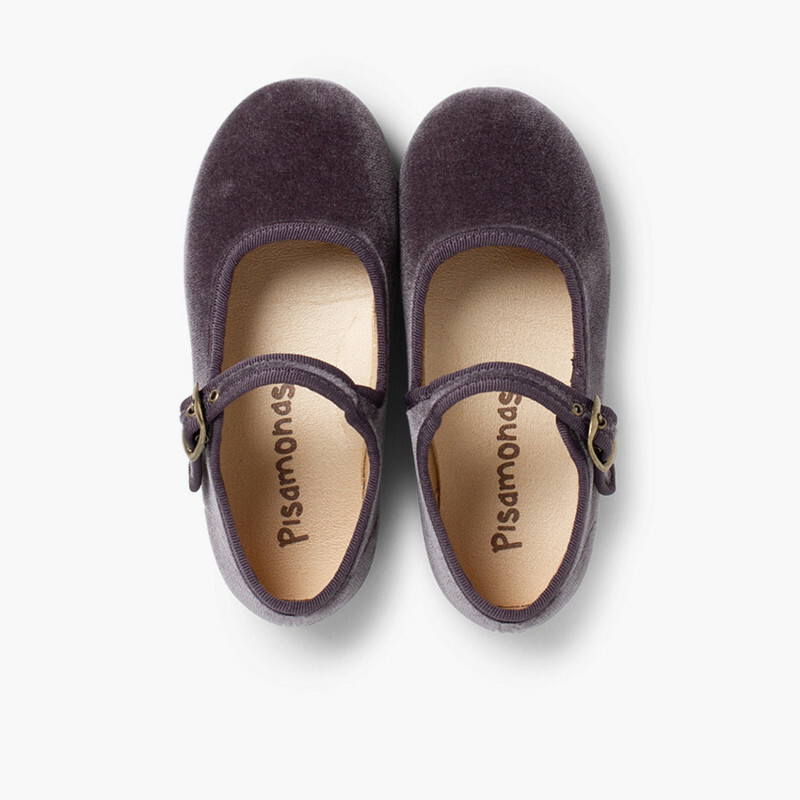 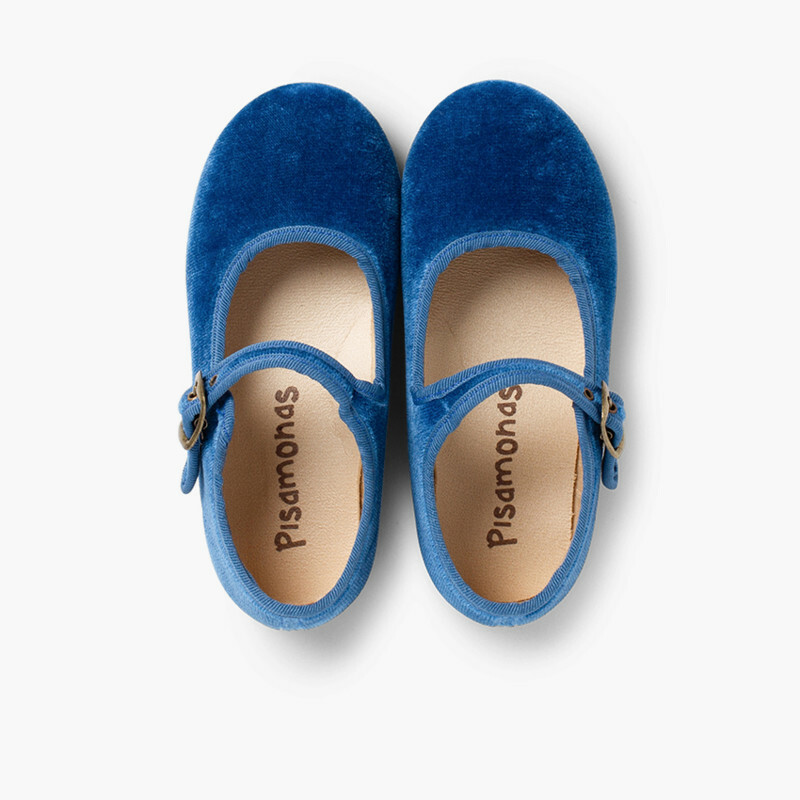 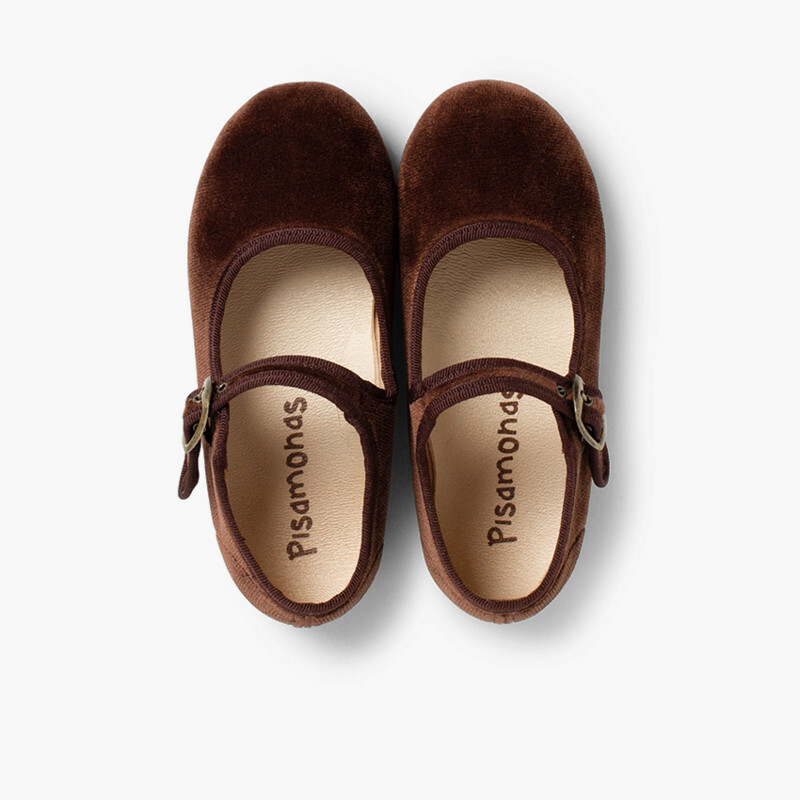 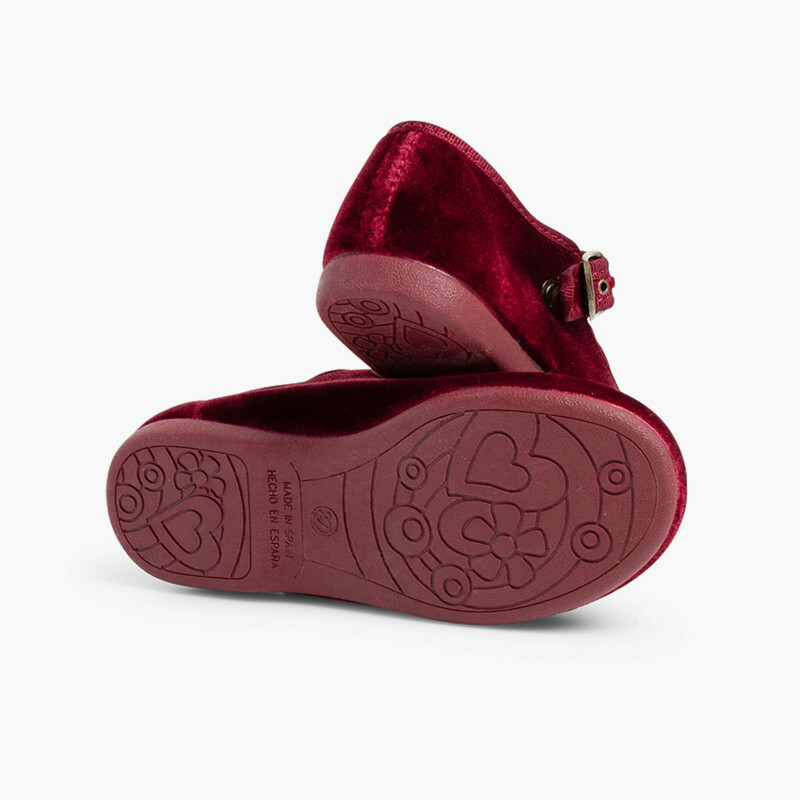 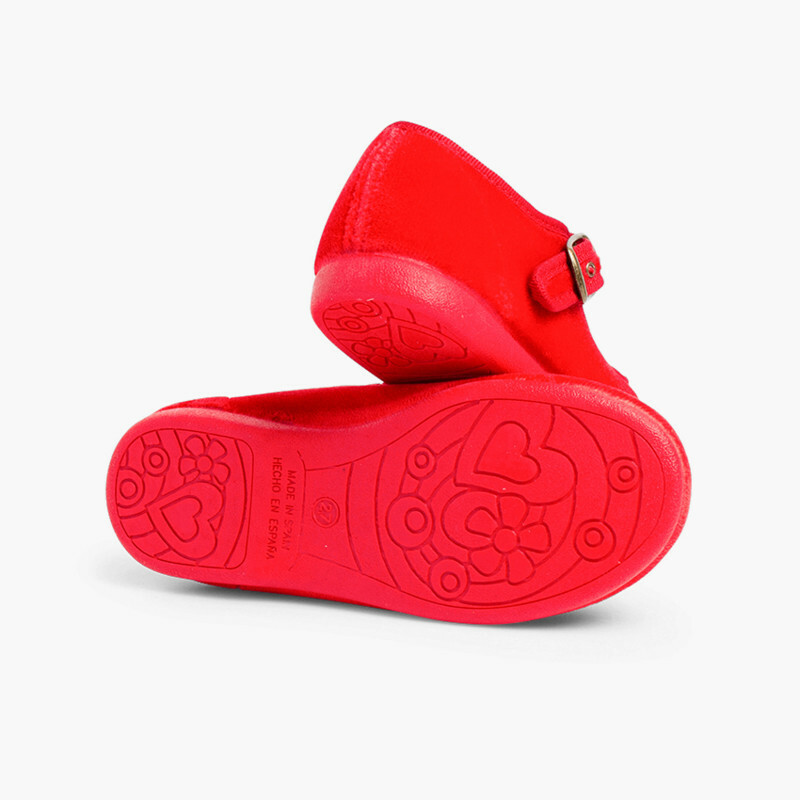 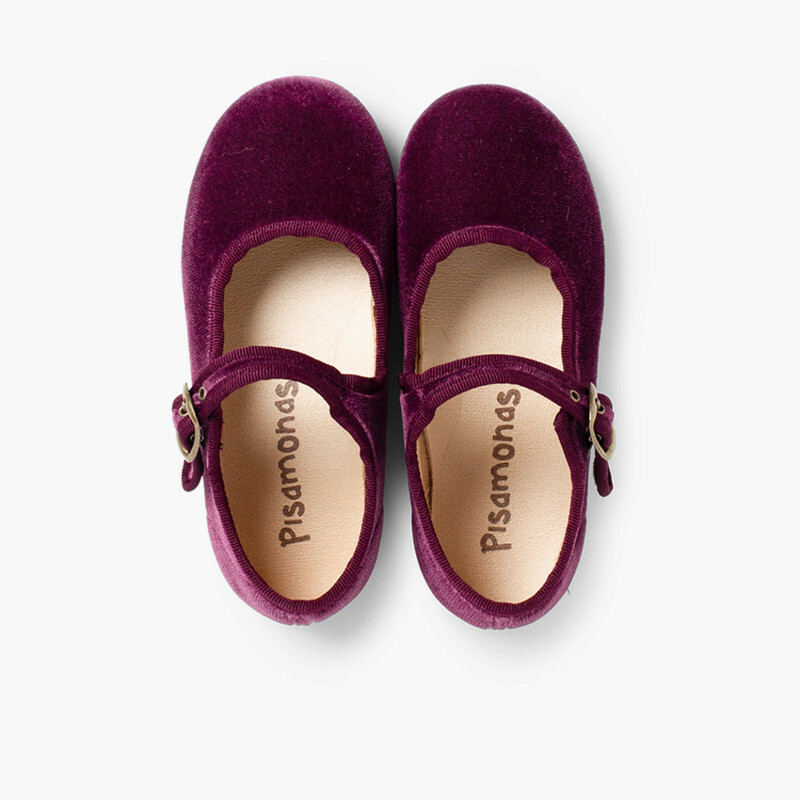 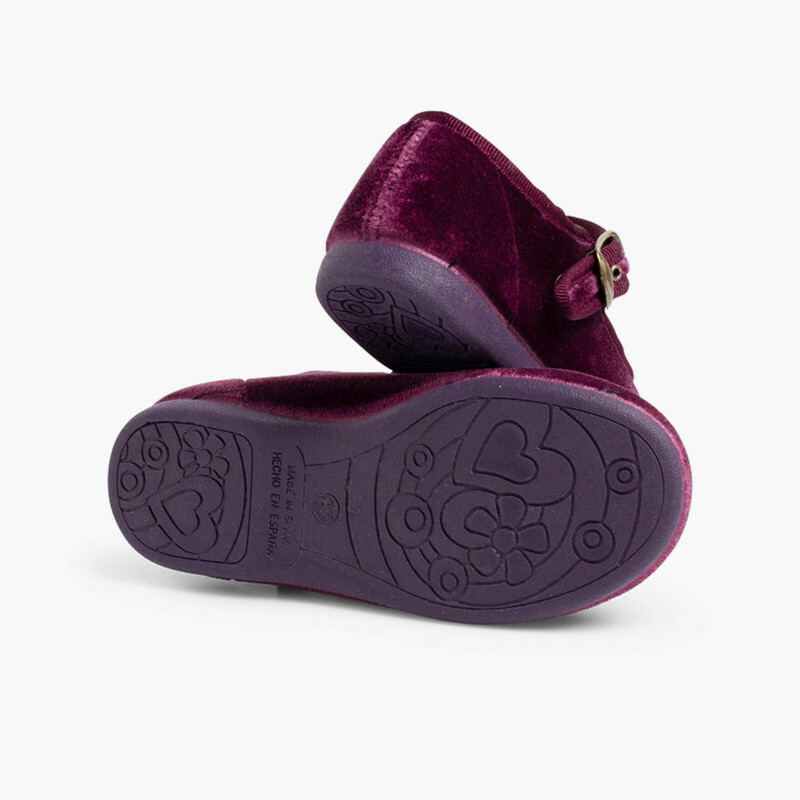 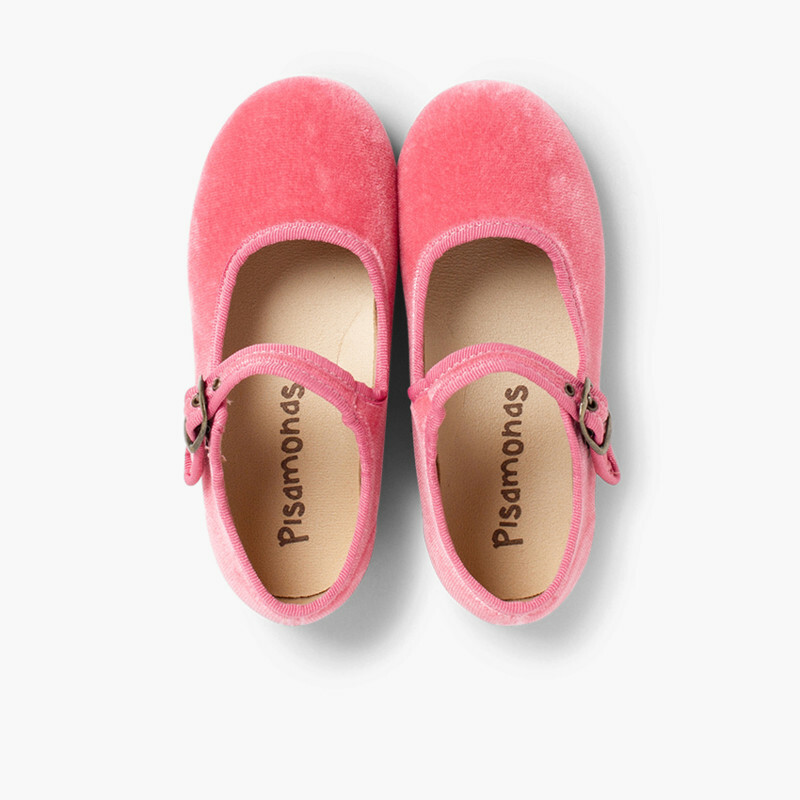 Velvet Mary Jane shoes with buckle fastening and ati-slip rubber sole. 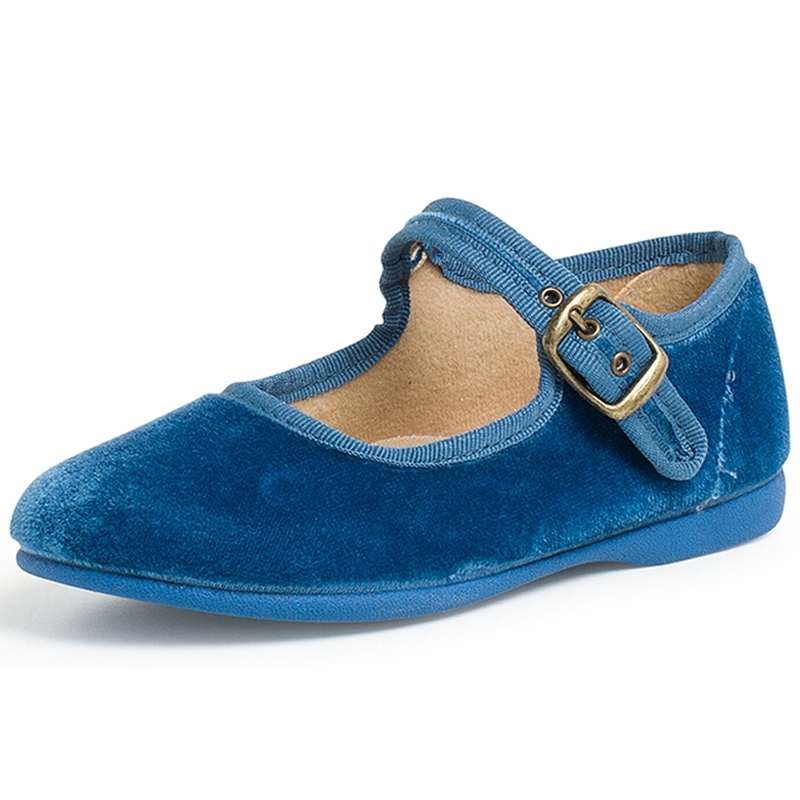 Available in a wide range of highly matchable colours. 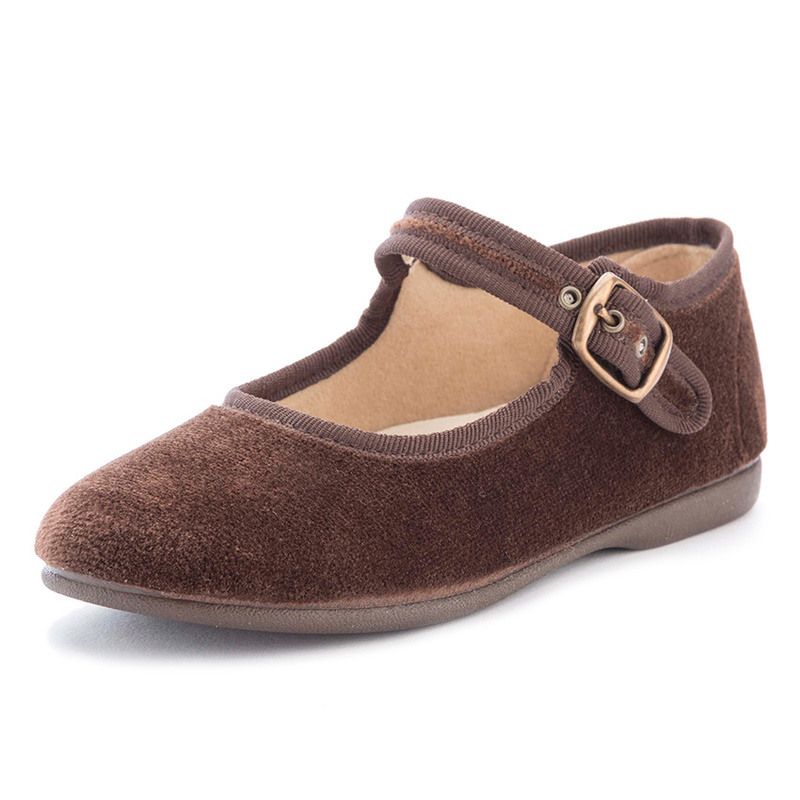 Perfect for cold months, Autumn and Winter. 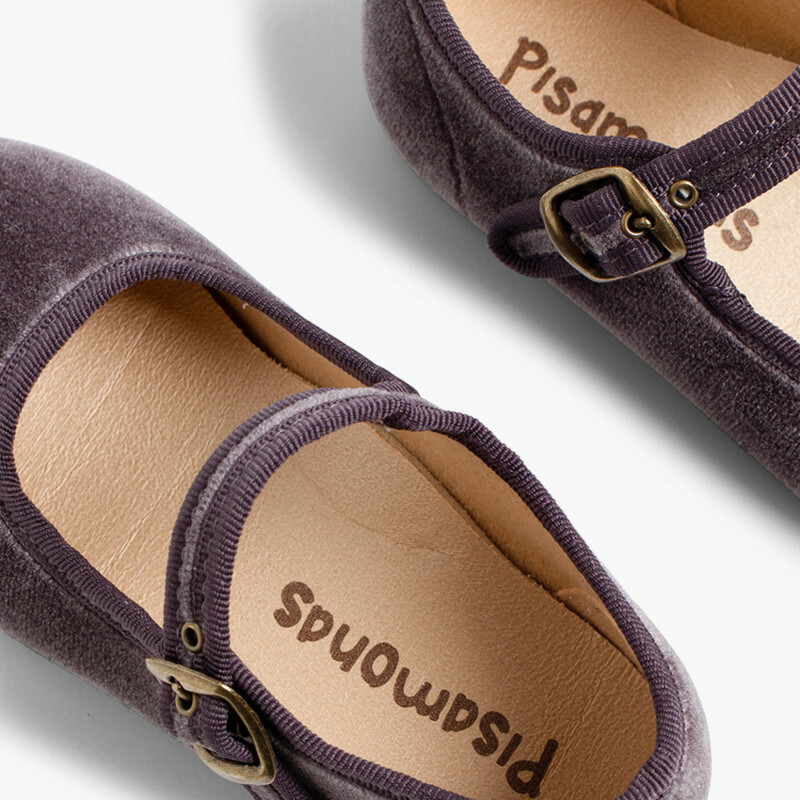 Made in Spain with high quality materials. 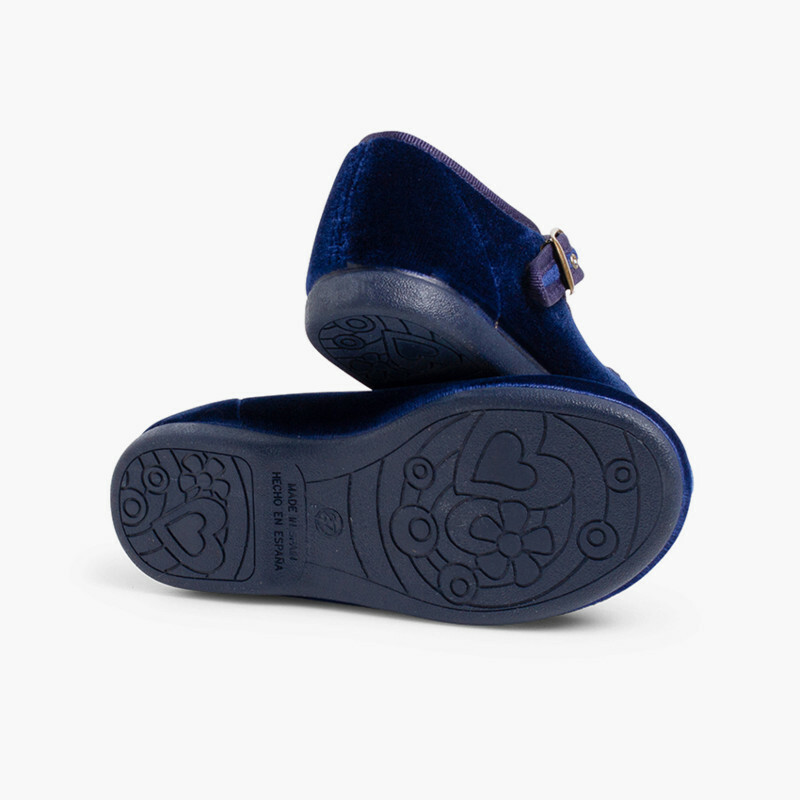 Free Shipping and Size Exchange. 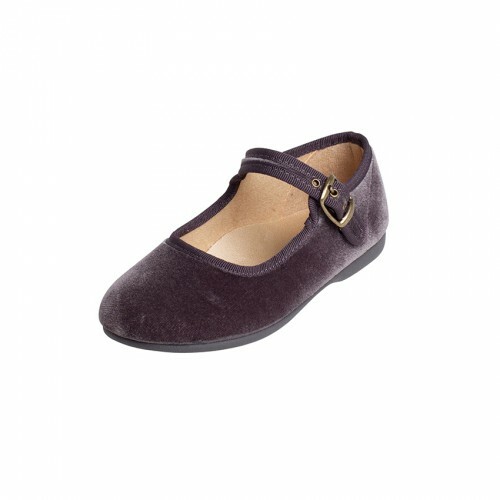 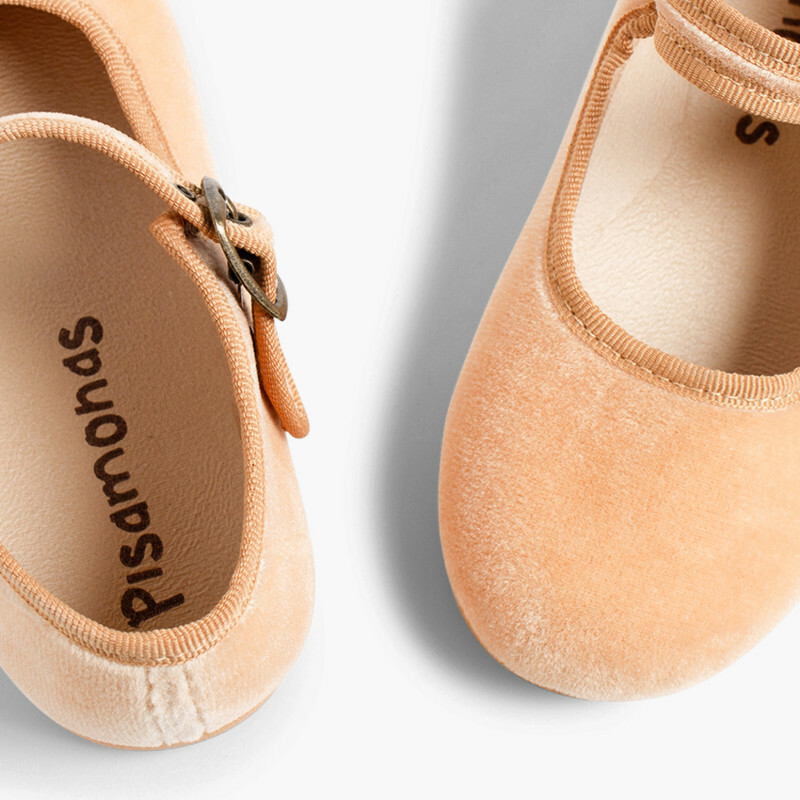 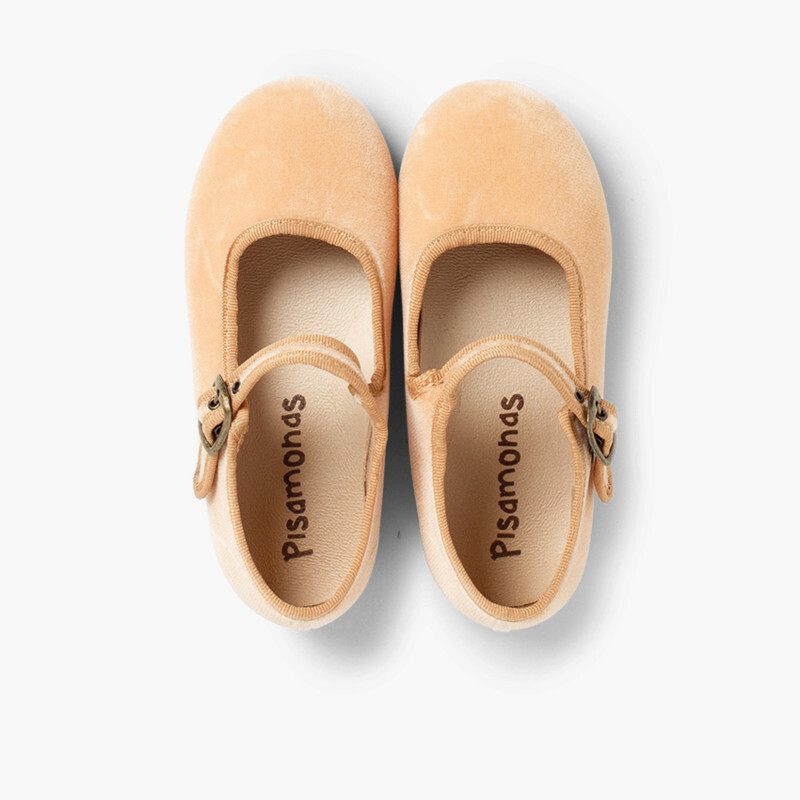 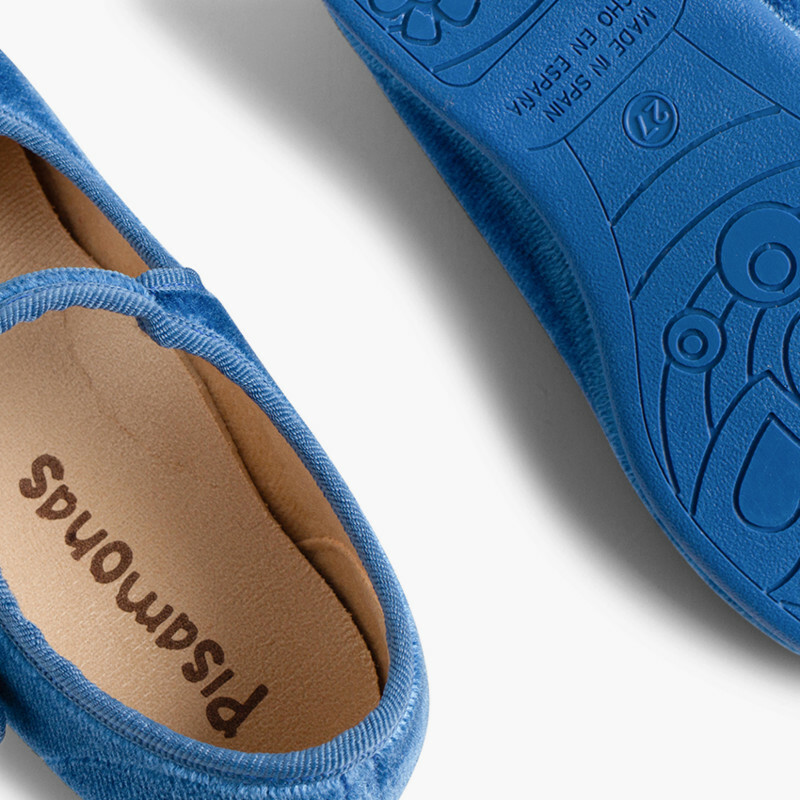 Thanks to the beautiful velvet, these ballet shoes are perfect for smartening up any look! 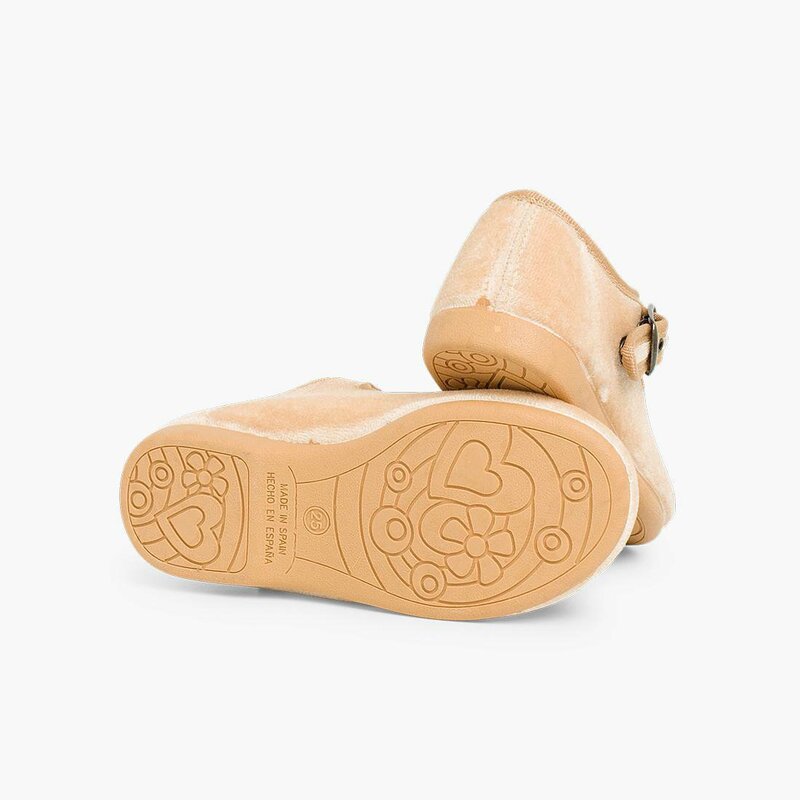 The buckles mean these shoes grip the foot nicely, whilst the anti-slip sole keeps them out of harm’s way! 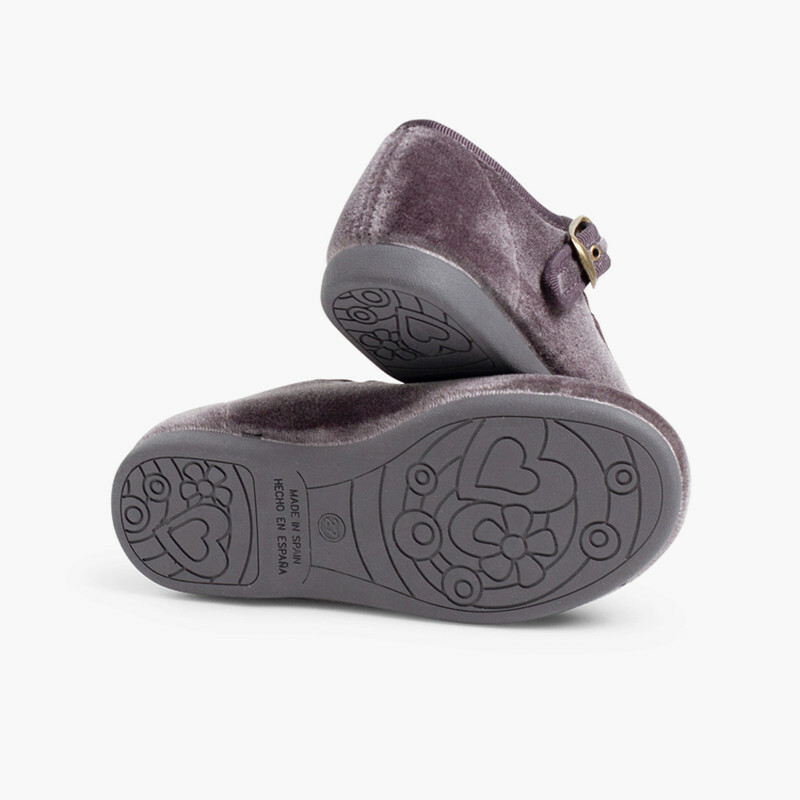 Step out in style, and in safety! 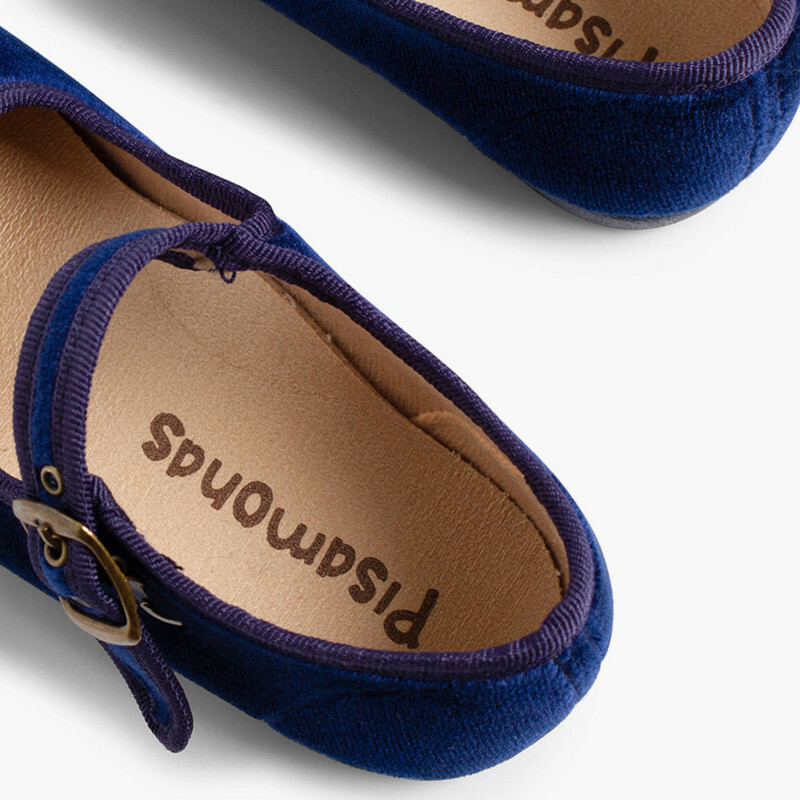 Beautiful shoes, look even smarter than in the pictures. 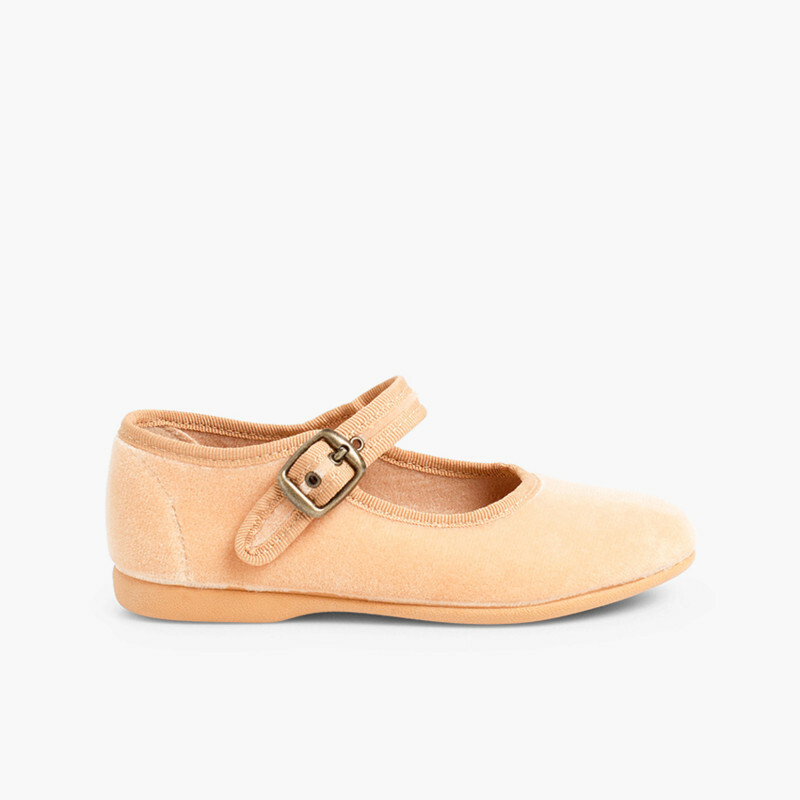 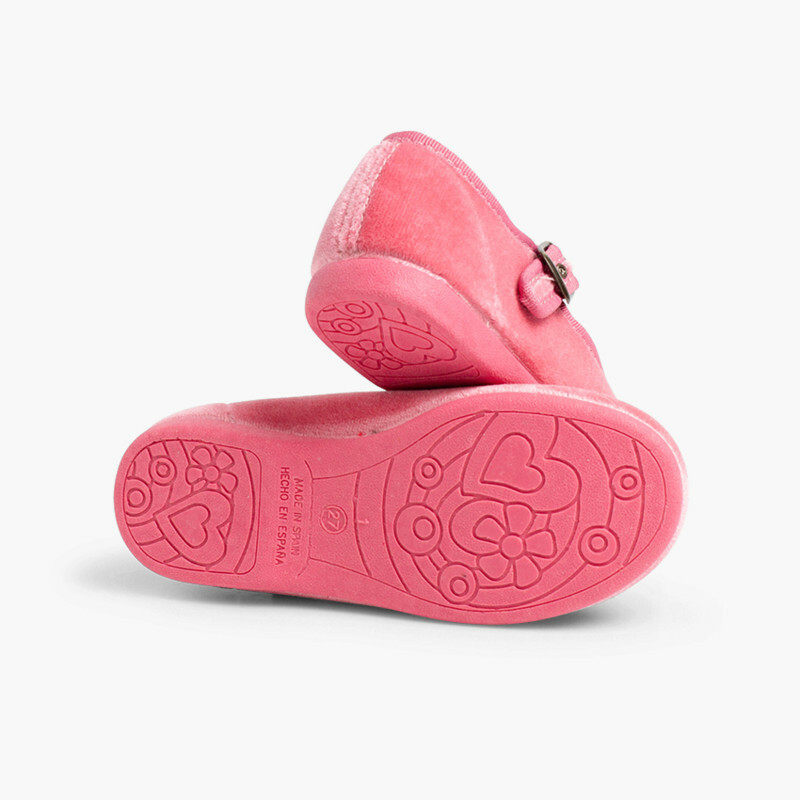 Would recommend these shoes for any little girl. 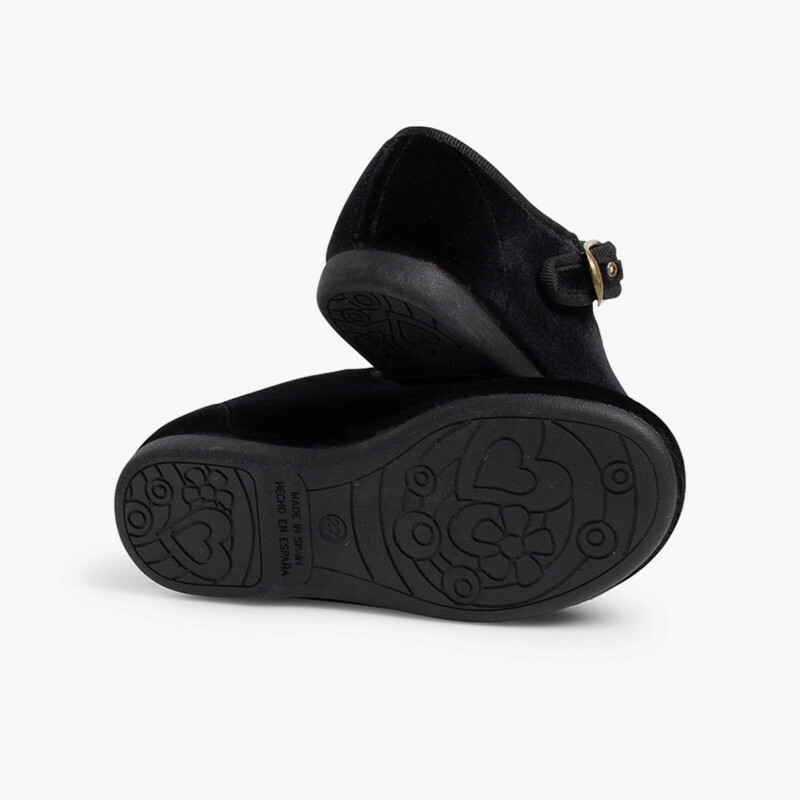 Very soft shoe and insoles. 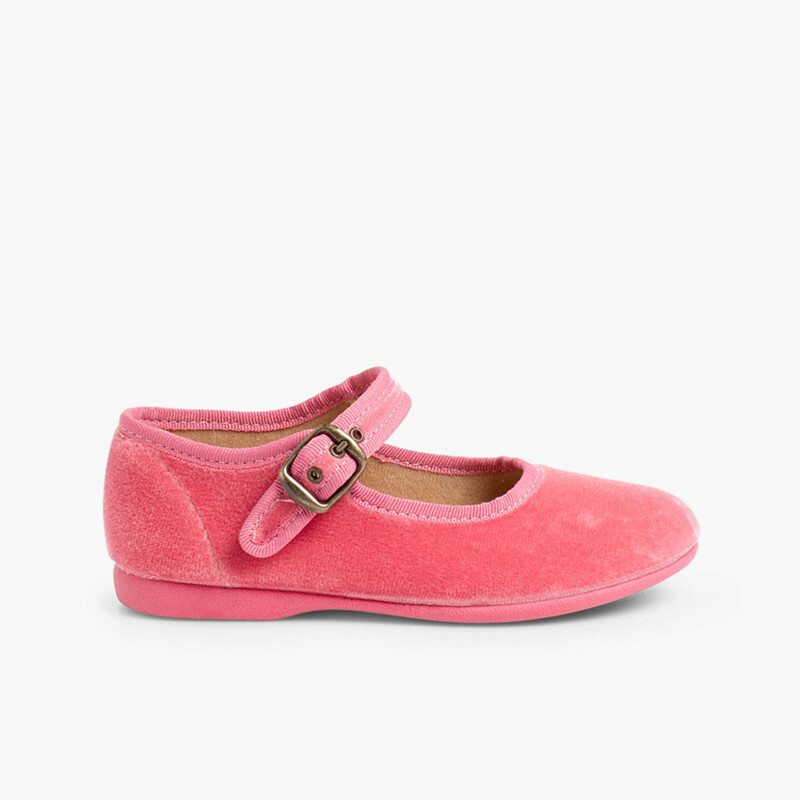 Would recommend these shoes for any little girl. 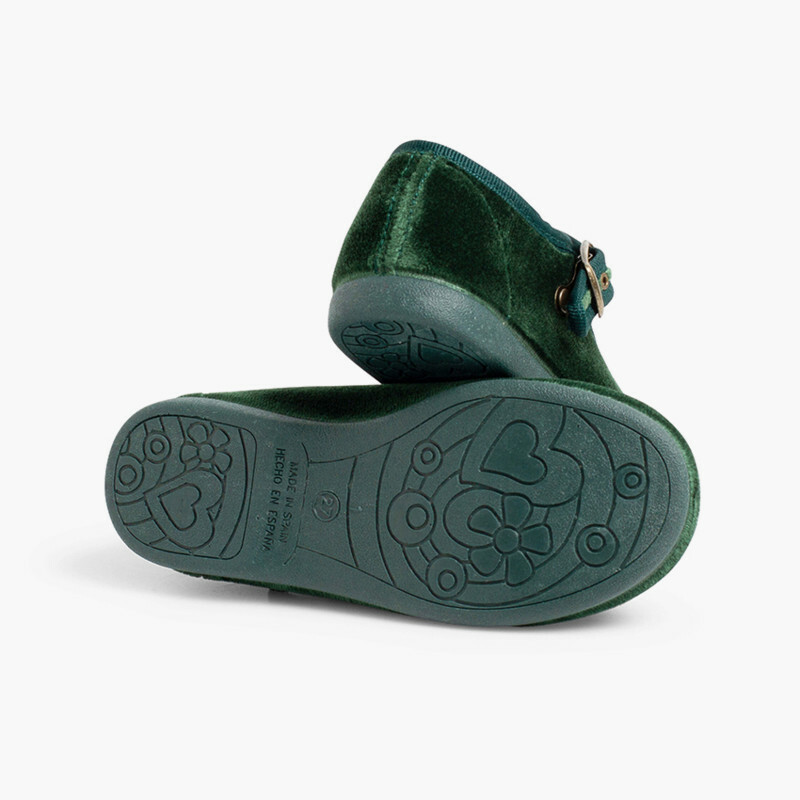 Very soft shoe and soft insoles. I love these shoes great quality good price. The green velvet Mary Janes are gorgeous! 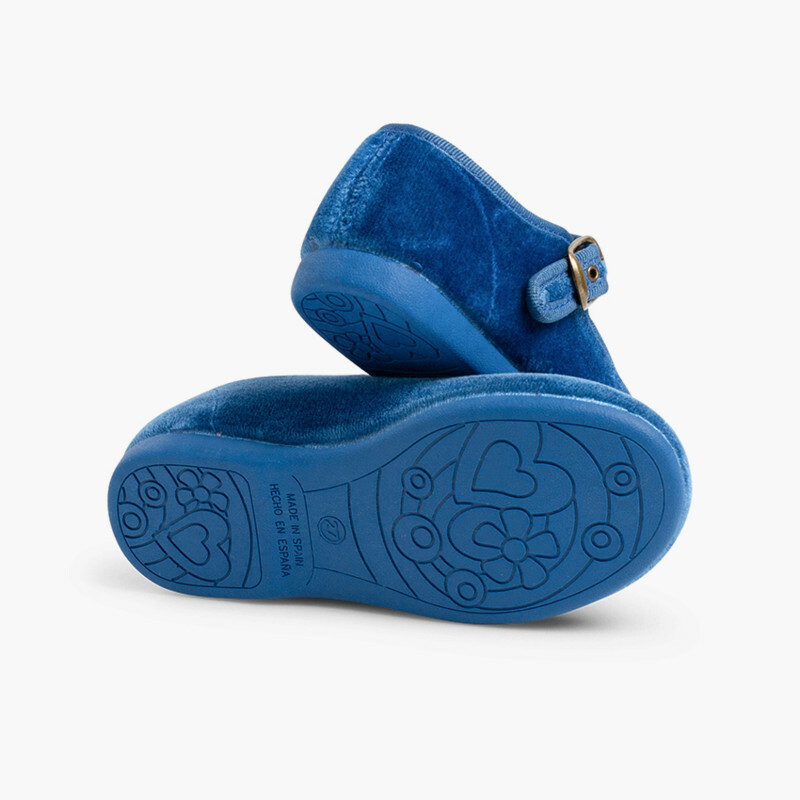 I can’t wait for my daughter to wear them for Christmas. Igual que el anterior pero este con hebilla es precioso. 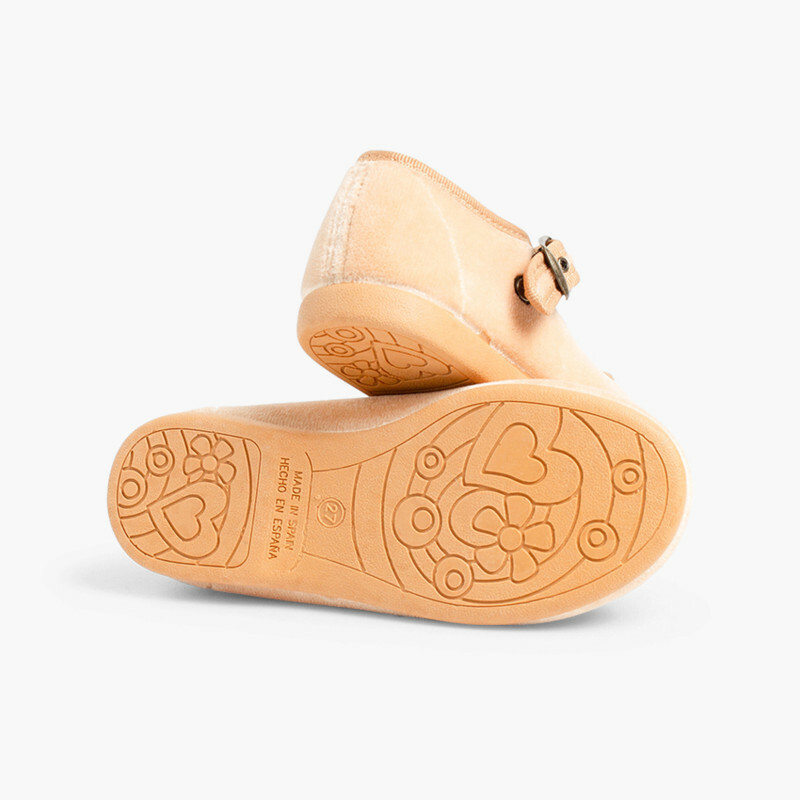 Seem like good quality sandals. 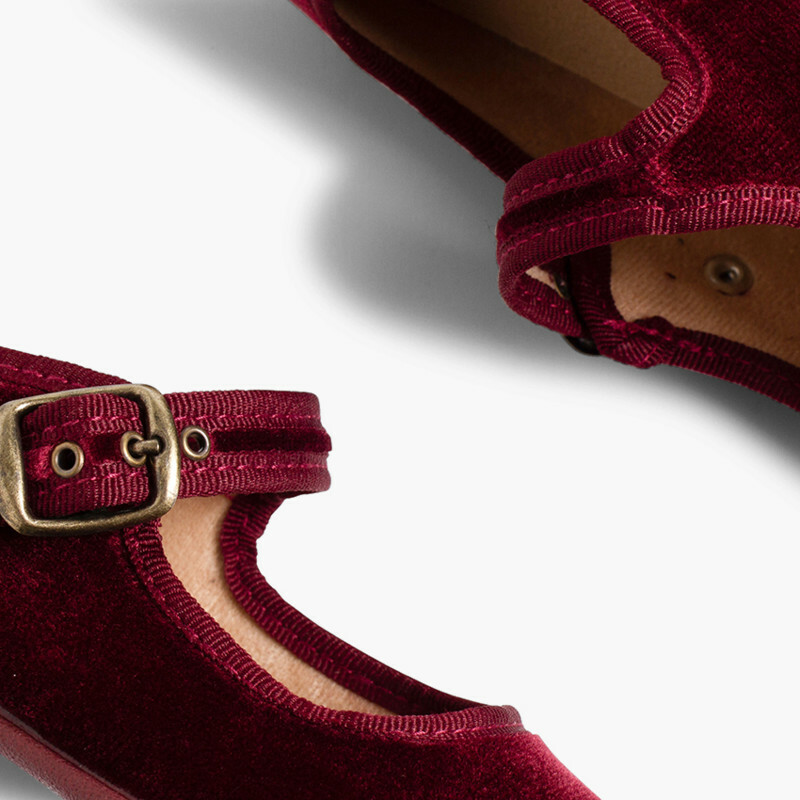 Would recommend to a friend. 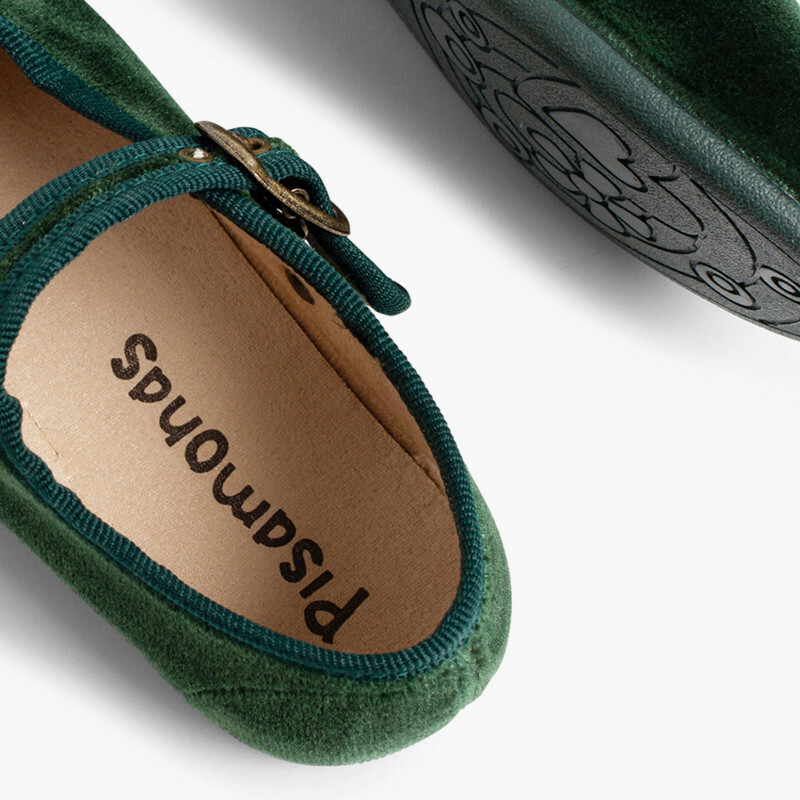 The shoes are nice. I love it. I am very pleased with the shoes. 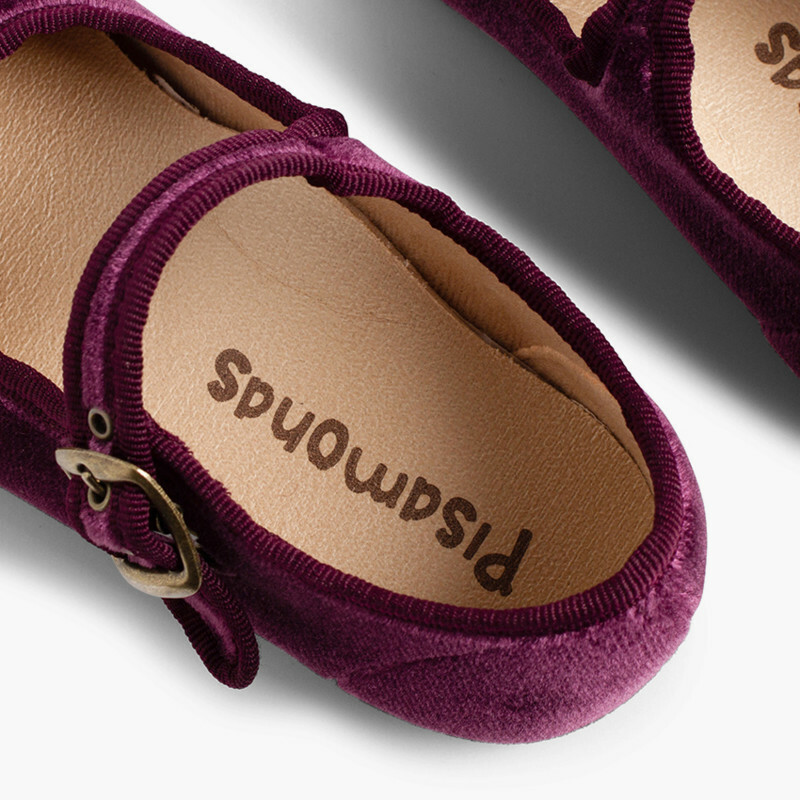 They are a Christmas present because other family members are very pleased with others that they have ordered. 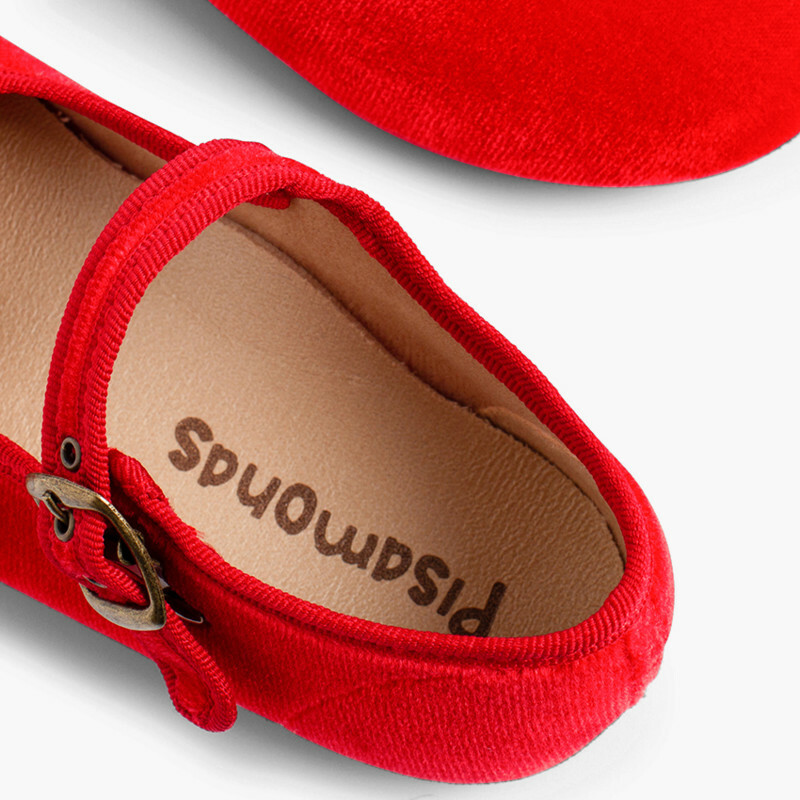 Beautiful girls shoes. 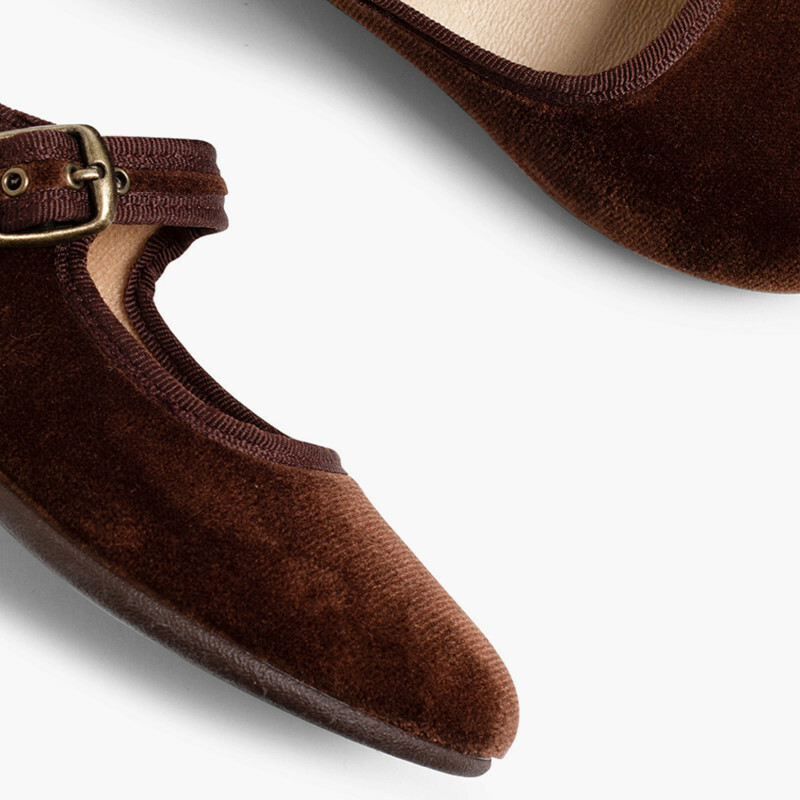 Comfy but still elegant. 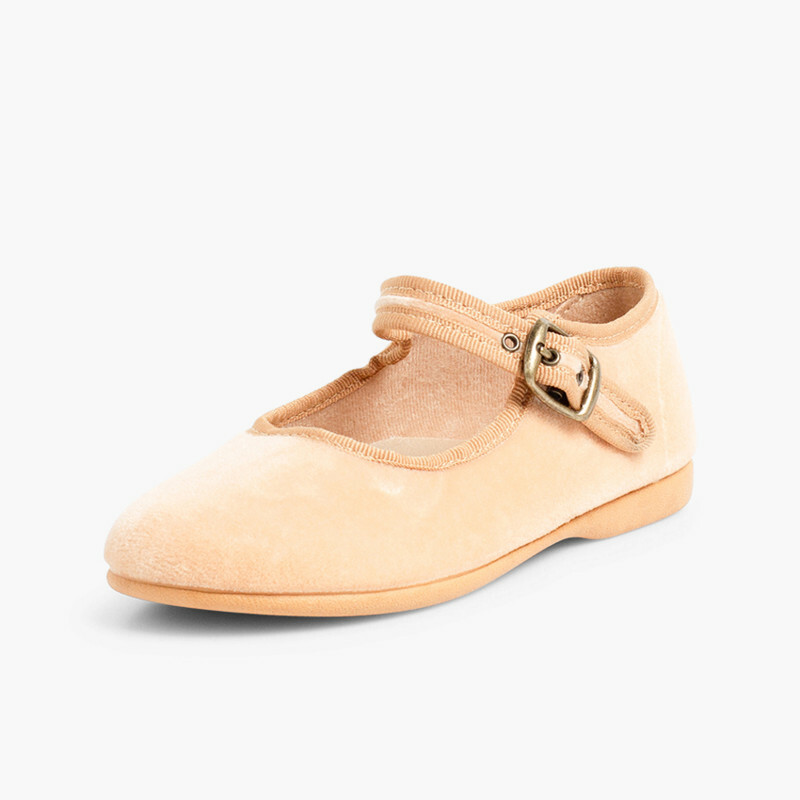 Really beautiful, difficult to find this kind of shoes elsewhere.